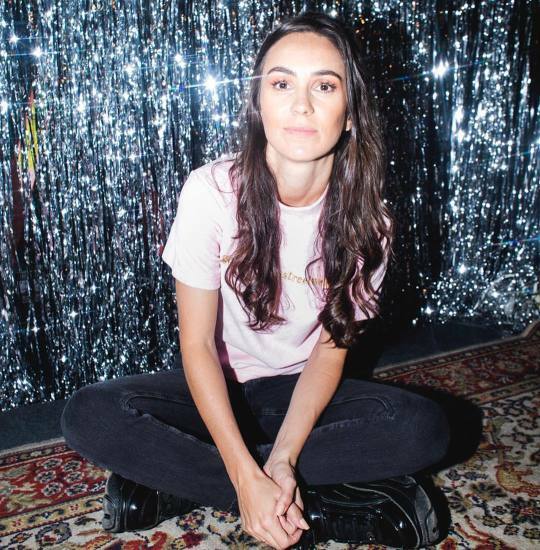 Amy Shark just released a music video for “Mess Her Up” from her debut album Love Monster. While the story unfolding in “Mess Her Up” is not pretty, the music video is stunning in all of its high production glory. Shark’s storytelling skills are effortlessly displayed through her lyrics and further showcased in every scene of this video. “Mess Her Up” is a catchy indie-pop track about cheating with your best friend’s boyfriend. Yikes. The video opens with the two best friends giggling while eating together and then the boyfriend sits down at the table, making everything a little more complicated. While everything appears to be normal, viewers can see the protagonist shooting lustful looks at the boyfriend when her best friend isn’t watching–the first signal that this story probably will not end well for anyone. In between the scenes of the two different progressing love stories, we see Shark suffering while singing her painful lyrics. The flashbacks to the artist remind viewers that this story extends past the world of the music video and into real life. While we all wish this was fictional, it is obvious that this is deeply personal to Shark. The video climaxes with the girlfriend confronting the two-timer in his apartment where it is clear he is trying to deny and apologize for what he has done. But with perfect timing, the protagonist enters and locks eyes with her best friend, revealing herself as an accomplice in this cheating scandal.